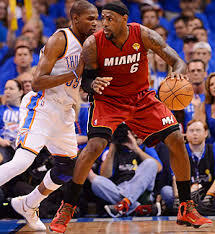 The NBA Playoffs are almost here and it has been a great season but the best is yet to come. The top teams have made a stand and the eight seeds are fighting for just a spot, I can’t wait. So here’s my prediction for the seeding in the Eastern Conference. 1. Miami Heat: The Miami Heat were riding one of the biggest win streaks until the inconsistent Chicago Bulls ended it. Even though their streak is dead they have the best record in the NBA and they are the reigning Champions. LeBron has just been great this year, Wade hasn’t disappointed, and Bosh has been solid too. They have some of the biggest names in basketball on their team, and they are no fluke. The Miami Heat are going to be a tough out in this year’s Playoffs. 2. New York Knicks: The Knicks were also recently on a winning streak which similar to the Heat’s was crushed by the Bulls. New York has never been able to get back to the top since the days of Patrick Ewing. It always seems like the Knicks are an easy out in the first round, but this time I have a feeling that won’t happen. Carmelo Anthony has really had a stand out year, he has finally made his team a real contender, and is giving Kevin Durant a run for his money in the scoring title. 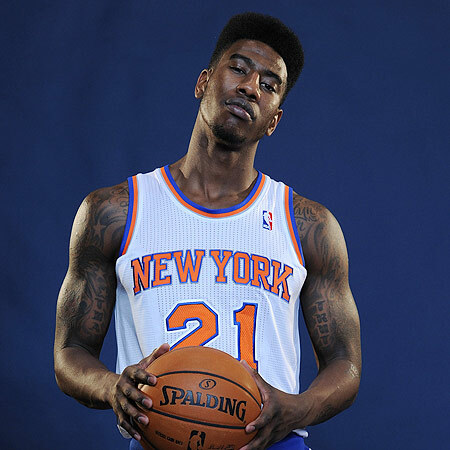 Also I think Iman Shumpert could play a big role in the Knicks success. After he tore his ACL last year in a playoff game against the Heat, the team never seemed the same. Now he is back and healthier than ever. Shumpert I think is going to be a future star. If the New York Knicks want to make a deep run Shumpert has to have a big role. 3. Indiana Pacers: The Pacers have really come out of the shadows, and they are looking like a old Reggie Miller Pacers team. 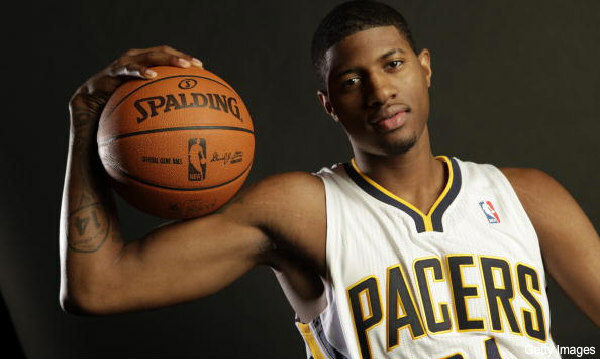 One of the main parts of their success is rising star Paul George. For the past couple years the Pacers really didn’t have a star player. They were just a solid team without a superstar. This year their shooting guard, Paul George, has risen to the occasion. He has had the greatest season so far of his young career, has made his first all-star appearance and he has lead his Pacers team to a number three seed. George has played outstanding and so has the whole team. The Pacers could be very dangerous, so watch out Miami. 4. Brooklyn Nets: The Nets have a new face to the franchise ever since Jay-z bought them and moved them from New Jersey to Brooklyn. They got a new logo, new colors, new jerseys, they picked up some new players, and most importantly they upped their game. 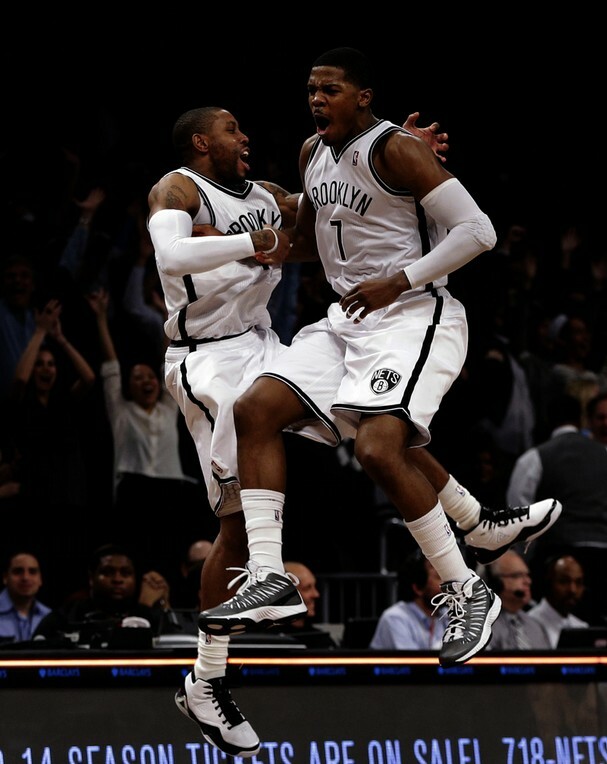 Signing Joe Johnson in the offseason helped put them in the playoffs. He has really turned this team around, and I think he has to be the one to play big if they want a chance to win the East. Johnson has playoff experience from his time with the Hawks and the Suns but he is one of the only players on this team that actually has experience in the playoffs. The Nets inexperience might come to hurt them but people said that about the Thunder last year and they made it to the Finals. I think the Nets might have a tough road ahead of them which could start in the first round. 5. Atlanta Hawks: The Hawks are a team that you expect to make the Playoffs every year. In the offseason they lost their best player, Joe Johnson, to free agency and everyone thought that the Hawks might have a rough season but they proved them wrong. Josh Smith has had a big year as we expected but also point guard Jeff Teague has played exceptionable. Teague has been a role player for most of his young career but he is suddenly transforming into a star. He is a great passer, a good on-on-one defender, can hit from mid-range, drives to the hoop well, and he is a lethal three point shooter. He plays great in the spot light and this is his time to shine. If Teague has a good postseason the Hawks could go far. 6. Chicago Bulls: This year hasn’t been that great for the Bulls. You might be asking yourself, they made the Playoffs …isn’t that good? Well in Chicago there is a high standard set by the greatest player that has ever lived, Michael Jordan. The city of Chicago loves their basketball and they are quite upset with the Bulls, trust me I am from Chicago. It really wasn’t their fault though because they have been bitten by the injury bug. Last year their star player, Derrick Rose, tore his ACL and has yet to come back this year. Then Joakim Noah stared to take over the star role and he got hurt. Although this season hasn’t been the best, there is one bright spot. Nate Robinson has stood out and has played like Russell Westbrook. The year is still young and Robinson can be the spark to help the Bulls go far. 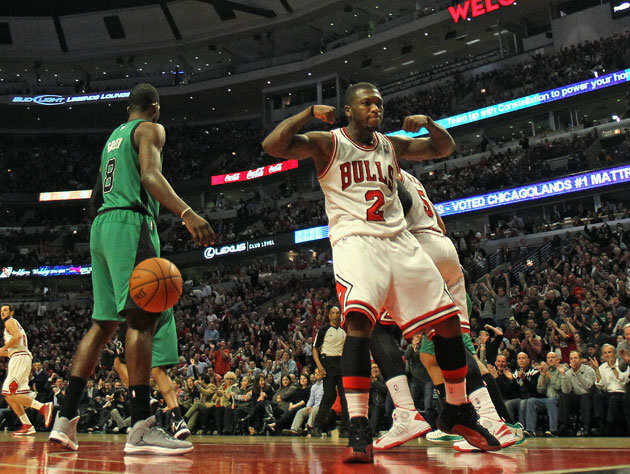 The Bulls will probably have a brutal bracket to get through but Nate Robinson has the talent to pull them through it. 7. Boston Celtics: The Celtics have had a rough year. Rajon Rondo tore his ACL, Kevin Garnett is hurt, and Paul Pierce is also injured. So the big bad Celtics have been narrowed down by injury. The Celtics go far almost every year, but this year it is not likely to happen. They are an old team that is hurt. Jason Terry is their only star who will play. He might have won the 2011 finals with the Mavericks but he is getting very old. I don’t think the Celtics are going to be able to run with the young teams in the Playoffs. I believe that the big bad Boston Celtics will be an early out. 8. Milwaukee Bucks: The Bucks haven’t made the Playoffs since 2010, but this team has a lot more talent then the 2010 team. The turn around for the Bucks was when they got Monta Ellis. He was a perfect steal. He complements the play of Brandon Jennings very well. It has been awhile since the Bucks had two superstars on one team but they do now. 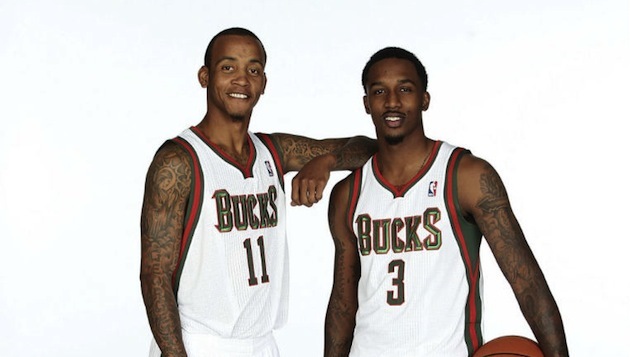 Brandon Jennings and Monta Ellis have done a great job turning around this team and getting them to the playoffs. They have a very hard first round ahead of them and will probably play Miami. Stay tuned for my Western Conference predictions. This entry was posted in NBA and tagged Atlanta Hawks, Bosh, Carmelo Anthony, Derrick Rose, Iman Shumpert, Indiana Pacers, Jason Terry, Jeff Teague, Joakim Noah, Joe Johnson, Josh Smith, Kevin Durant, Kevin Garnett, Lebron, Miami Heat, Michael Jordan, Milwaukee Bucks, Monta Ellis Brandon Jennings, Nate Robinson, NBA Playoffs, New York Knicks, Patrick Ewing, Paul Pierce, Rajon Rondo, Reggie miller Paul George, Russell Westbrook, Wade by just1mike. Bookmark the permalink.